So where are you headed to today? Not sure how far I will get today, just see how it goes. Somehow I had forgotten just how much I enjoy the freedom of a good roadtrip. I think I got a little cosy in Otago. It was beginning to feel very familiar and almost like I lived there….. time to get on the road. It’s a shame to rush this part of the country. I would love to explore around here as much as I have been able to further south, just not this time. 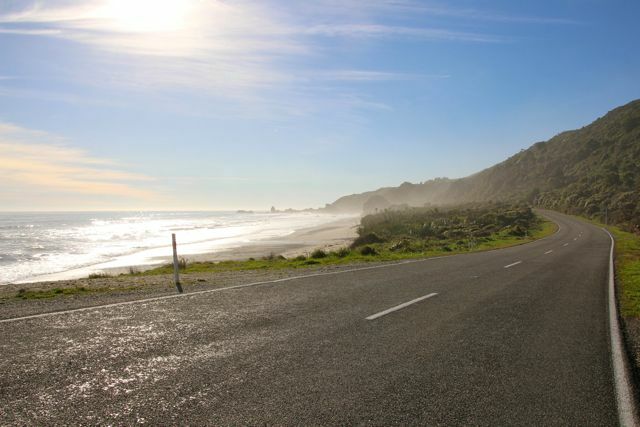 That’s the thing with New Zealand there are no wrong choices on where to go, you just have to accept that you cannot do it all. Besides everywhere brings it’s own surprises. One stop was a little beach town called Hokitita, or Hoki, with it’s driftwood strewn beach. My night out there was unintentionally short. People had raved about a pizza joint called Fat Pipis, so off I went. It was so delicious I almost inhaled it. In fact I ate it so quickly it induced a food coma and killed any thirst I had so that became an early night. Here’s something you don’t see every day. Pancake rocks, known as such for their appearance. Through a layering-weathering process called stylobedding, the limestone has formed into what looks like thick piles of pancakes. 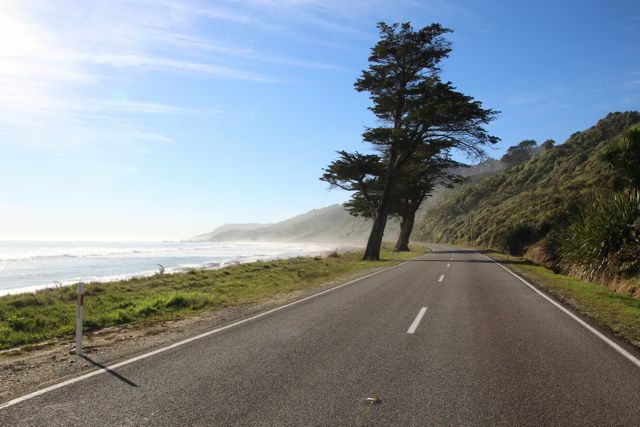 But really for me this time it’s all about this coast road. Hello Ocean, I have missed you.